Swiss International, part of Lufthansa Group, is increasing the number of Zurich-Kyiv flights from four to six per week from April, Lufthansa Group Country Manager Rene Koinzack has said. “From April 7, the number of flights will be increased to six per week and from July they will be carried out daily,” he told reporters at the Embassy of Switzerland in Kyiv on April 5. Koinzack added that the flights will be carried out by Bombardier CS300 [for 135 passengers] and CS100 [for 110 passengers] planes. 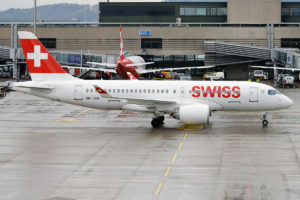 He also told Interfax-Ukraine that it was too early to talk about a possibility of launching new flights from Kyiv or Ukrainian cities to Switzerland by the airline. 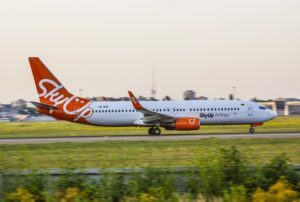 Koinzack recalled that the flight between Zurich and Kyiv was resumed only a year ago and the number of passengers on this flights would be increased by 50%. Thus, the company needs some time to analyze results of such changes. As reported, Swiss International Air Lines stopped performing direct flights between Kyiv and Zurich from October 1, 2014. “The Zurich-Kyiv route did not come up to our expectations. The situation in Ukraine also played its role,” a representative of the airline, Sonja Ptaszek, said. 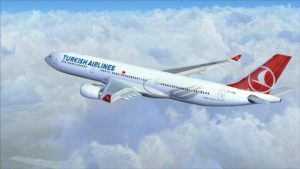 The airline resumed flights on this route from March 26, 2018. 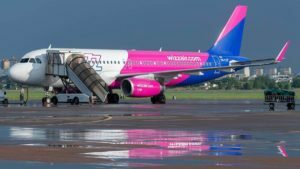 Wizz Air, one of the largest European low-cost airlines, will start flights from Kyiv to Leipzig from July 5, 2019, which will become the tenth city in Germany to which the air carrier will fly from Kyiv. According to a press release of Wizz Air, flights in this direction will be performed twice a week on Mondays and Fridays. With the launch of this flight, the total number of destinations to which Wizz Air flies from Ukraine will reach 45 in 13 countries, in particular 29 from Kyiv. The report says since the beginning of this year the airline has transported about 450,000 passengers on its flights to/from Ukraine, which is more than 80% more than in the same period last year and, according to its data, makes Wizz Air the largest low-cost carrier in Ukraine. In total, Wizz Air offers flights on more than 650 routes from 25 bases, connecting 146 destinations in 44 countries. The airline’s fleet consists of 109 Airbus aircraft. Last year the airline carried 34 million passengers. 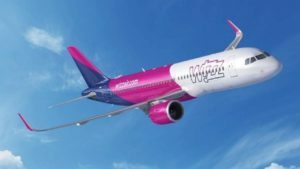 The Hungarian low-cost air carrier Wizz Air will launch flights from Krakow (Poland) to Kharkiv a month and a half earlier, from August 2, 2019 (previously planned from September 16), according to the airline’s booking system. Wizz Air, the largest low-cost carrier in Central and Eastern Europe, offers flights on more than 600 routes from 27 bases, connecting 145 destinations in 44 countries. The airline’s fleet consists of 89 Airbus A320 and Airbus A321 aircraft. 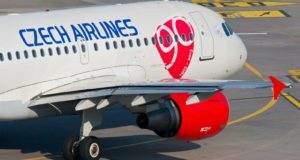 Czech Airlines (the Czech Republic) will resume flights on the route Prague-Odesa-Prague from May 30, 2019, according to the website of Odesa International Airport. According to the press service of the airport, from May 30 Czech Airlines flights from Prague to Odesa will be operated twice a week on Mondays and Thursdays. From June 17 a flight on Saturday will be added, and from July 1 on Wednesdays. The departure time is 22:45 local time. The travel time is 2 hours. Aircraft from Odesa from May 30 will depart on Tuesdays and Fridays; from June 18 also on Sundays, and from July 2 on Thursdays. The departure time is 05:00 local time. Czech Airlines is the flagship aircraft of the Czech Republic and operates flights from Prague in the main destinations in Europe and Asia.